Dimensions Ø45 x H21cm. 150cm textile cable. 1.5kg. 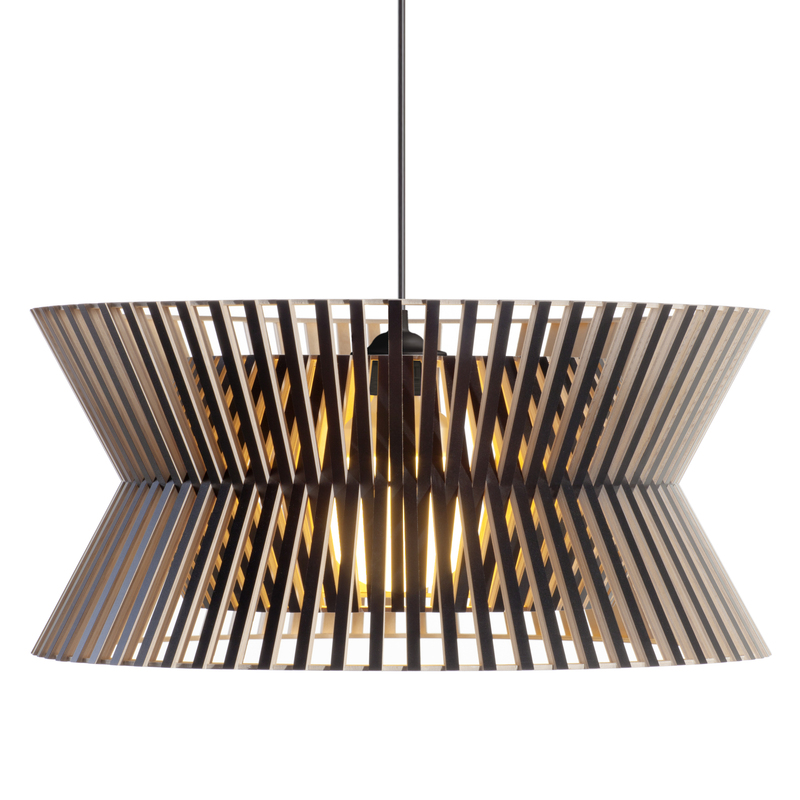 The Kontro pendant has a shade made of thin slats of wood that intersect to give a shape of hourglass with generous proportions. 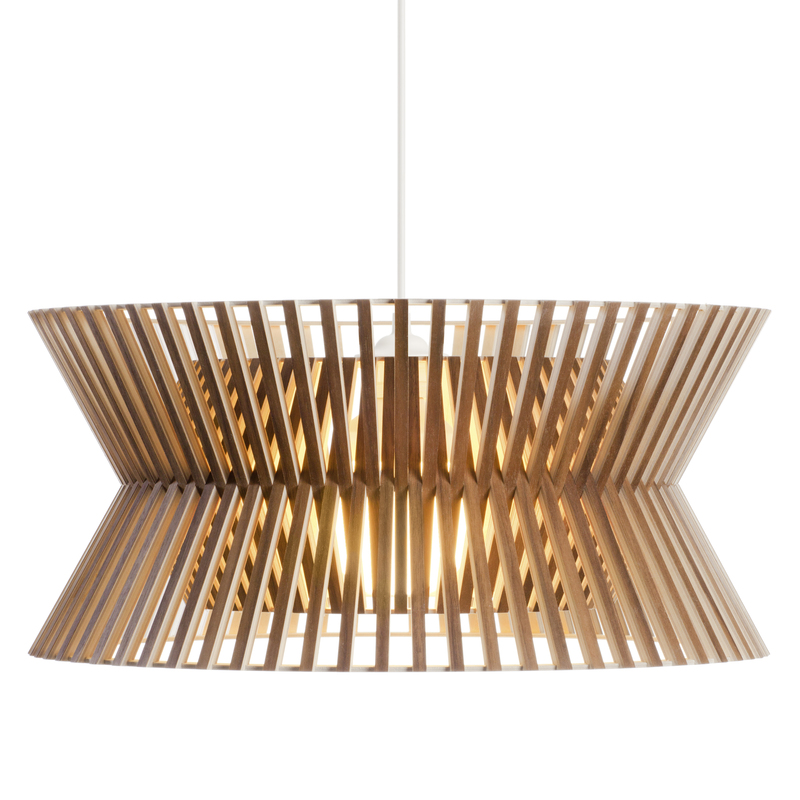 Because of its wide lower opening and the light spacing of its lamellae, the Kontro pendant diffuses the light particularly well, while giving it beautiful and warm hues. The pendant will find its place alone above a table or in the center of a room, but also in alignments above a work plan or a central island unit. 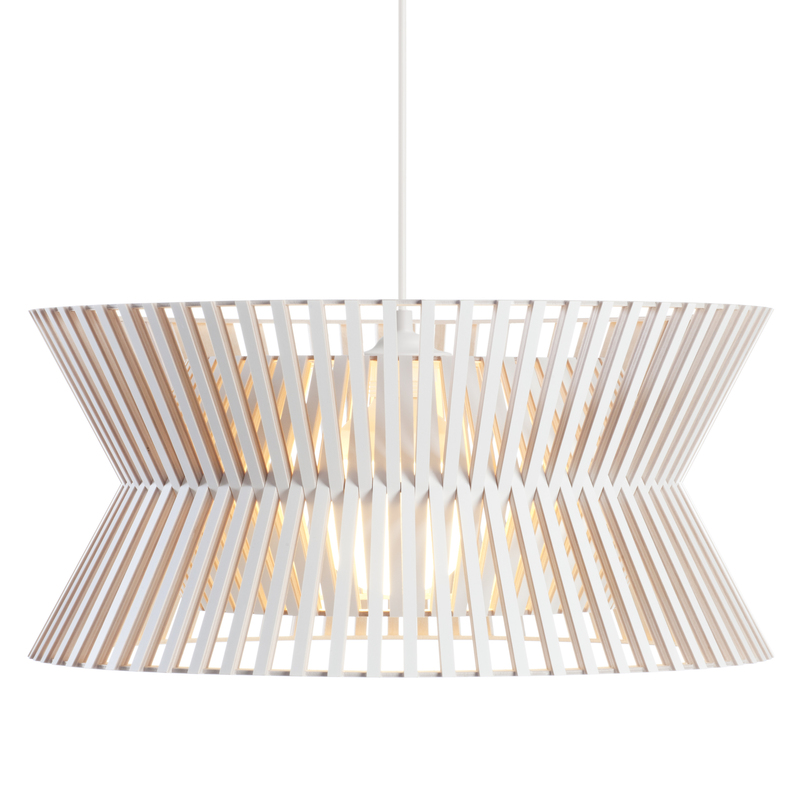 Each lamp is made in Finland by a highly skilled craftsman, and is subject to rigorous quality control. 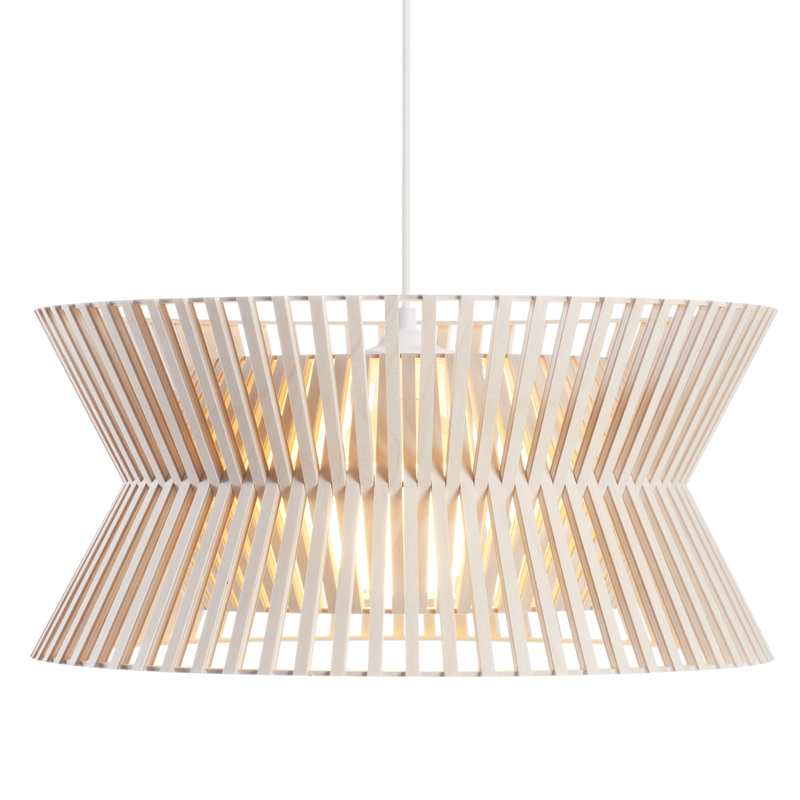 The Kontro pendant comes with a white textile cable and canopy, except for the black version (black cable and canopy).